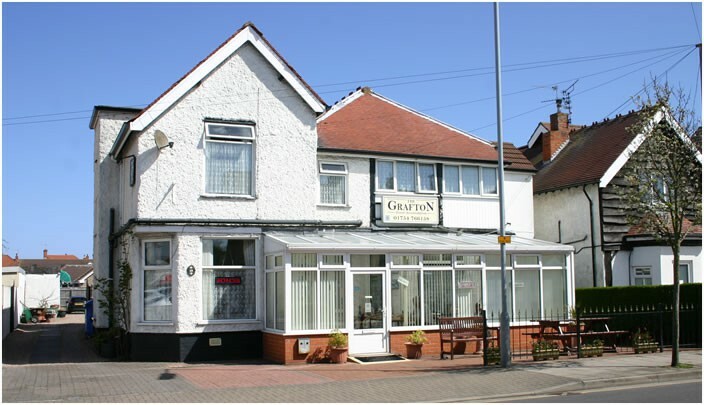 Welcome to The Grafton Hotel, Skegness, Lincolnshire U.K. The Grafton is situated in a quiet location close to all amenities. We are just a couple of minutes walk to the Suncastle, Bowling Greens and for golfers, the North Shore Golf Course. The beach is just a stones throw away, at the top of Seaview Road. 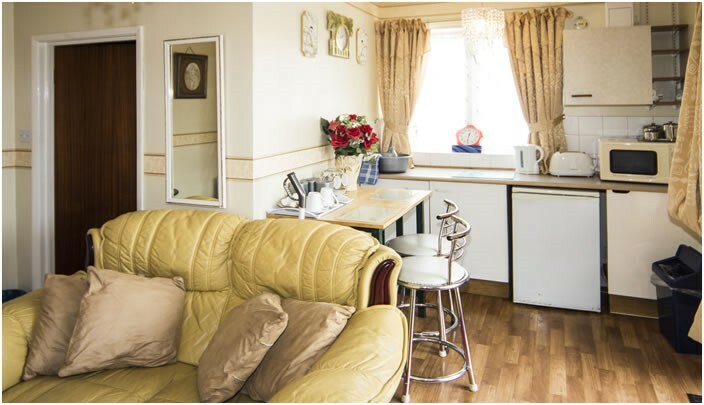 The Grafton comprises 13 en-suite letting rooms, 7 of which are located on the ground floor and are ideal for those who have difficulty in managing stairs. Room and breakfast starts at £22.00 to £30.00 per night. Children under 12, sharing with two full paying adults are welcomed at half price. Jean & Ivan look forward to seeing you and Warm Welcome awaits at the Grafton. You come as a Guest and leave as a Friend. We have 5 chalet Style rooms on the ground floor for families or couples, all having en-suite facilities, T.V. tea and coffee making items plus fridges. Join us in the evening in our inviting Oasis Bar - cool in the summer and warm out of season. Relax and meet new friends while enjoying a quiet drink at the end of the day. 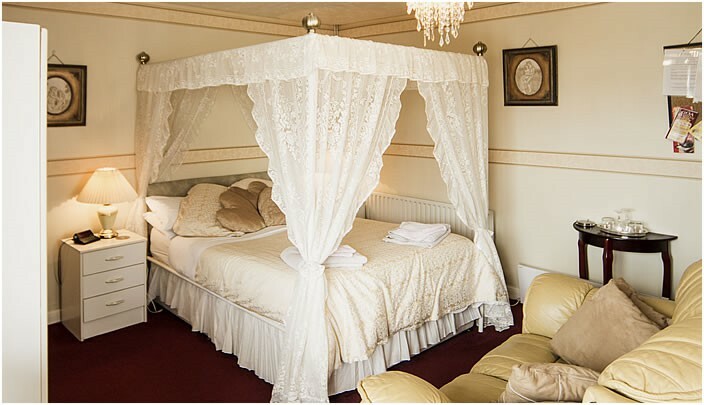 All of our bedrooms are clean and cosy plus our Four Poster Suite is a must for Honeymooners, Wedding Anniversary, Any Special Occation or a Romantic Break in or out of season. Expect a touch of elegance to your bedroom surroundings. Rooms available at most times. 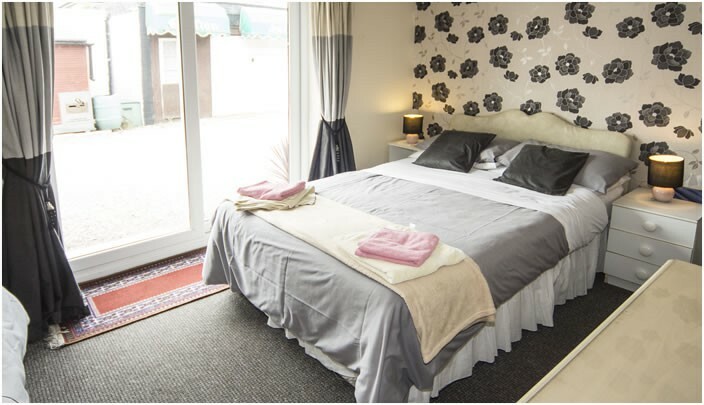 Accommodation is available in en-suite single, double or family bedrooms, plus - for that little extra - our chalet-style rooms, offering comfort for both couples or families. 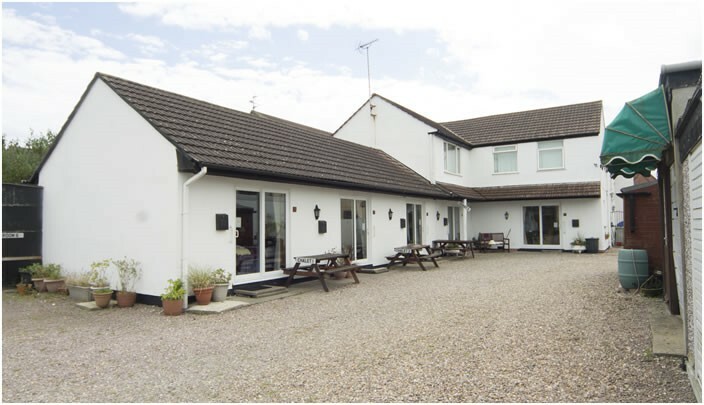 We offer a welcoming licensed bar and relaxing conservatory. The chalet-style rooms are located on the ground floor and have patio doors. Bench seating has been supplied for those who seek outdoor living. We are ideally located for the Suncastle Bowling Green, the new northern pleasure beach, Natureland Marine Zoo, North Shore Golf Course and most other attractions.